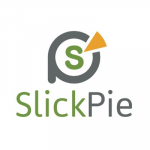 SlickPie is a free online accounting software designed for small businesses. Its features include online invoicing and billing, live bank feeds, financial reports, automated data entry, and more. In this article, we cover user reviews and pricing. Ready to get started with SlickPie? Sign up for free. Users who gave SlickPie a positive review said that it has a user-friendly interface and is easy to set up. Others like that it has a free version and can be used at any time provided that the internet connection is stable. Users who gave SlickPie a negative review said that it has too many ads popping up. Other than that, the majority of users who left reviews mentioned that it is a useful tool for businesses. SlickPie offers a free plan and a Pro plan ($19.95/month). The main differences between the plans are the number of company accounts and the availability of phone support. Ready to get started with SlickPie? Sign up for free. 10 Best Accounting Software for Small Businesses 2019 — Read our buyer’s guide for a comparison of the top 10 accounting software for small businesses. We compared the software based on cost, ease of use, and features to give you an idea of which accounting software will work best for your needs. Is SlickPie accessible on any device? Yes, it is. SlickPie may be accessed through a PC or Mac computer, as well as on iOS, Android, and Windows-based mobile devices. What is MagicBot and what does it do? MagicBot is an automated receipt data entry tool that is exclusive to SlickPie. It eliminates manual data entry in bookkeeping by converting information from receipts and bills into digital form. Not sure if SlickPie is the right fit for you? Read our reviews of all top accounting software providers or check out one of these three SlickPie competitors. It’s free! You have to invoice a lot for it to start costing you and even then it’s not much. It’s robust and serves all my small business accounting needs. If you’re looking for a good basic accounting software that doesn’t take a slice of your invoices or charge you a monthly ongoing fee, you’ve found it in SlickPie. Now my startup has good records without an ongoing cost while we get our revenue up. I wish it would integrate with Stripes ACH feature, so I could take advantage of their lower processing costs. I also wish recurring invoicing was more straightforward. I just wish I had known about SlickPie sooner, I had to try a lot of accounting software first. 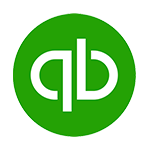 Want to Know the Best QuickBooks Alternative? 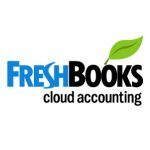 Who's the Best QuickBooks Alternative?